For the 21st year in a row, the Centre for Computer SScience and Communications for the Creation of Knowledge (C5) at the Department of Computer Science of the University of Chile has organised TISE 2018, 23rd International Conference on Computers in Education. TISE is a multidisciplinary conference based on research, conceived an arena for the presentation, exchange and diffusion of experiences in two fundamental areas: computer science in education and man-machine interaction in learning. However, the conference also addresses other issues, including software engineering, education psychology, graphic design, telecommunications, etc. 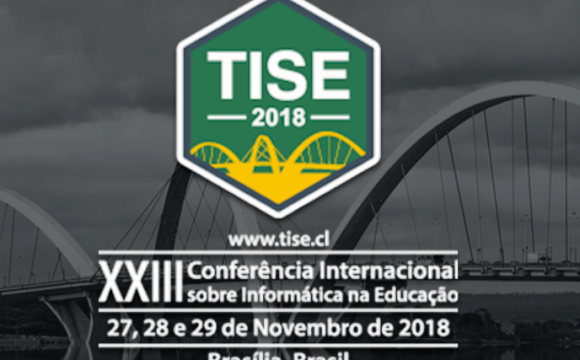 This year, TISE 2018, will be held in Brasilia (Brazil), organised by the Department of Computer Science – CIC / UnB on November 27-29 at the university campus. Alfonso Molina, Scientific Director of the Fondazione Mondo Digitale, will participate with a presentation on “Education for Life in the 21st Century” (Tuesday, November 27, 11.30 – 12.30 am).